Bruce Hart is one of eight wrestling sons of the legendary Stu Hart.. 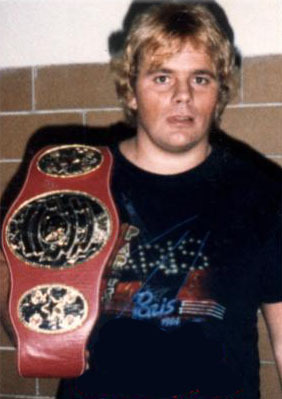 Early 1970s: Bruce Hart began his wrestling career working for his father’s Stampede Wrestling promotion in Calgary, Alberta..
Bruce Hart took a backstage roll as well as in in-ring roll in the management of the Stampede promotion..
Bruce Hart also took it upon himself to scout for new talent, discovering such wrestlers as Dynamite Kid while tourning the UK..
1982-83: Bruce Hart won the International Tag Team titles twice with his tag team partner, Davey Boy Smith..
Bruce Hart formed a very successful babyface tag team with Brian Pillman known as “Badd Company”..
1987: Badd Company won the International Tag Team titles twice for Calgary Stampede Wrestling..
October 15, 2004–Stampede Wrestling: Bruce Hart & Lance Storm led the roster in honoring Stu Hart, who died a year ago..
Bruce Hart and his brother Ross ran Stampede Wrestling out of Calgary until 2005 when they relinguished power..
March 28, 2010–WrestleMania 26: Bret “Hitman” Hart defeated Vince McMahon in a No-Holds-Barred match by Submission..
~~~Mr. McMahon paid off the Hart family to be Lumberjacks and paid Bruce Hart to be the referee and help him screw Bret again..
~~~Bret beat the crap out of Vince for 12 minutes, and threw him out of the ring so the Hart family members could get their shots..
~~The Hart Dynasty (David Hart Smith & Tyson Kidd & Natalya Neidhart) led the assault on Vince McMahon outside of the ring..